Some of these are quite surprising. You may think you know a lot about your favorite celebrities, but there’s plenty these actors and actresses don’t necessarily share with their fans. To maintain some semblance of normalcy, these A-listers have kept their family lives somewhat private — which is why you may be surprised to learn that these 15 celebrities actually have twin siblings. Stars such as Ashton Kutcher and Laverne Cox have been somewhat secretive about the fact that they’re part of a pair. Still, considering how much their siblings mean to them, they do talk about them from time to time. Have you been paying attention? These are the stars who know what it’s like to grow up with a twin sibling. Ashton Kutcher and his wife, Mila Kunis, manage to keep their life together pretty private, despite their star status. But when accepting the Robert D. Ray Pillar of Character Award for demonstrating “good character as a role model,” Kutcher couldn’t help but credit the people who mean the most to him, including his twin brother. His brother, Michael Kutcher, is a public speaker and advocate for the Reaching for the Stars foundation. The actress has a twin brother, Hunter Johansson. And despite her major celeb status now, she and her brother were able to grow up in a “normal” way — at least until they hit high school. She and her brother are the youngest of four children and, thanks to their twin status, the actress admits to Parade that she feels “very connected to him.” Aww! The “You Oughta Know” singer has a twin brother, Wade Morissette. Wade is a yoga instructor, as well as an artist and singer in his own right. Wade has released several albums, including “Sargam Scales Of Music,” a “blend of folk-rock music with Sanskrit and English chants.” His sister has even promoted a book of his, calling it “one of [her] favorite yoga books.” Seeing that kind of support is incredible! The ’00s pop star is well-known as the brother to Backstreet Boy Nick Carter, but he also has a twin sister Angel you probably never knew about. He and his sister seem close, especially considering he walked her down the aisle at her wedding in 2014. So sweet! The extremely well-known supermodel actually has a twin sister, Patricia Bündchen, also known as Pati. You may have seen Pati pop up on the model’s Instagram, especially when celebrating special occasions, such as the birthday they share. Just last year, Gisele wrote, “Happy birthday super Pati! Thank you for being my best friend since the day we were born. Love you with all of my heart,” to wish her sister a happy birthday on Instagram. While Jon Heder has acted in a number of films, the one you likely remember him for is quirky indie breakout “Napoleon Dynamite.” With the image of his Dynamite character dancing on stage seared in our brains, we may be forgiven for not realizing he had a twin brother, Dan. Dan is also involved in the show biz world, and has several production credits under his belt. He may be known as Vin Diesel now, but he was born Mark Sinclair and has a fraternal twin brother, Paul Vincent. Ashmore is best known for his turn as Bobby Drake/Iceman in the “X-Men” movies, but he’s also appeared in “The Ruins,” “Frozen” (the horror flick, not the Disney film) and more. What you may not realize is that he didn’t appear in “Smallville.” That was actually his twin brother, Aaron. “Mr. Robot” actor Rami Malek has an identical twin brother, Sami Malek. The pair look so much alike that they’ve even pulled off the twin swap (quite a few times) when they were younger. “The Hunger Games” actress has a fraternal twin sister, and while they’re not identical — they sure do look an awful lot alike! Willow’s twin sister’s name is Autumn. How cute of a pair do they make?! This, of course, only adds to the unspeakable bond the twins have. What an incredible support system these two are for each other! “Scrubs” actress Judy Reyes has a twin sister, who’s also not a stranger to acting. 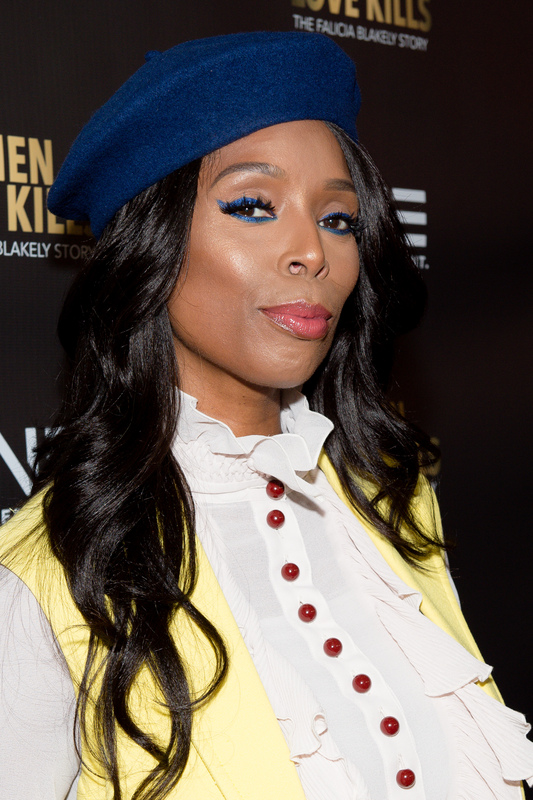 Tasha Smith, from “Empire,” has an identical twin sister. Her sister, Sidra Smith, is not an actress, but she works as a full-time director and producer, according to CBS. Did you know that Elvis Presley was technically born with a twin brother? His brother, Jesse, unfortunately was stillborn. Twins definitely run in the Presley family because the music legend’s daughter, Lisa Marie Presley, went on to have twin daughters. “Orange Is the New Black” star Laverne Cox has an identical twin brother, and in case you were wondering — they do sometimes get confused for each other. Her brother, M. Lamar, may not be an actor, but he is a musician. Did you learn something new about some of your favorite celebrities?